Aluminum extrusion suppliers play a vital role in the supply chain for extruded parts and components. This entity’s responsibility is to supply goods and services to various industries that use this type of finished product. 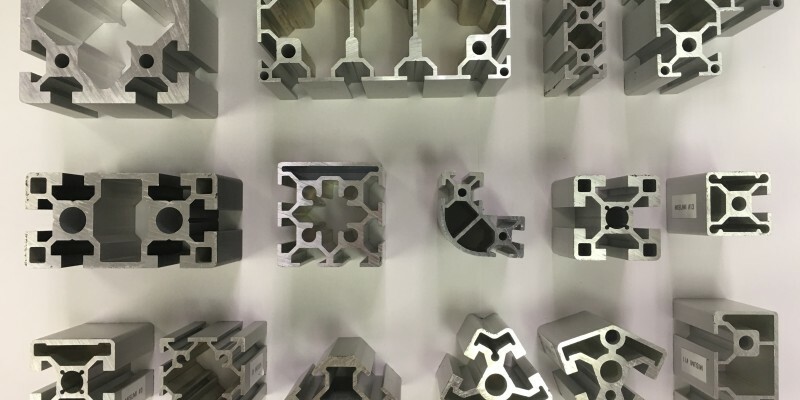 By ordering aluminum extrusion profiles from a supplier opposed to the manufacturing company, you will enjoy several benefits. As an example, if you need standard aluminum extrusion profiles, most suppliers have finished products on hand. For parts and components that industries consistently rely on, you can get what you need quickly. Depending on the situation, that could have a substantial impact on your business. For large custom aluminum extrusions, the story is somewhat different. If you need a large volume of extruded parts and components, or need to meet custom specifications, the supplier would order them. Because suppliers have long-standing relationships with the best manufacturing companies, this benefits you by streamlining the ordering and receiving process. With that, it is possible to get some time shaved off so that you receive your product promptly. There is also the cost factor to consider. By maintaining contracts with top manufacturers, suppliers can get you a reduced price on finished extruded products. When working on a tight budget on a specific project, that cost savings is significant. Remember, like manufacturers, all suppliers are unique in one way or another. For that reason, you always want to identify a reputable source. You also have the opportunity to build an excellent relationship with a supplier of aluminum extrusion profiles. Whether you need standard parts and components or large custom aluminum extrusions, the connection will go a long way in making things easier. In fact, the supplier will get to know what items you need and, in response, make sure the most commonly used profiles are available. Typically, this includes things like U-channels, C-channels, I-beams, H-beams, zees, structural angles, and more. The goal is for the supplier to anticipate your needs so that you receive exemplary service. Along with helping you with finished products, raw material, and specialized services, the right supplier can help you track competitors, evaluate the potential for new products, and more. In other words, reputable suppliers become partners with all types of industries, helping them succeed. If you need extruded profiles made of aluminum, it is essential that you research different sources; that way, you can select the one that best matches your needs and business objectives.